e. Qualified to provide full services, our techs can install, fix, and maintain any appliance in the laundry room and kitchen. 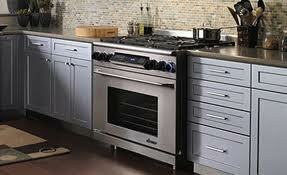 Appliance Repair Marlboro NJ is an affordable company dedicated to covering the needs of all customers. For this reason, we keep on honing our skills, getting updated, and serving our customers promptly. You will always find answers and solutions in our Marlboro appliance repair company. Committed to meeting the needs of each customer, each tech on our team remains knowledgeable and is fully qualified. We have full confidence in our competence to provide high quality service and exceed your expectations. So we offer a 100% satisfaction guarantee. Come to us if you have problems! Call us for any local home appliance repair. Get in touch with our team if you want to install a new oven or maintain the freezer. We are here to handle all your service needs. Call us to fix faulty kitchen appliances. Whichever model you own and whichever appliance is acting up, you can turn to us. Our kitchen appliance technician will diagnose the problem and offer repair in no time. Need help with a faulty dryer? Looking for experts in washing machine repair? Our expert laundry appliances repair technician will fix any model & make you own. We repair all problems and come promptly. We also install and service appliances to prevent problems and ensure new units operate as they should. You can count on our team for such home appliance services too. What’s vital is that no matter which service we provide, we come equipped. Our pros remain focused and are always committed to providing prompt and effective services. With our help, your concerns are handled professionally. Just get in touch with Marlboro Appliance Repair. Call and let our pros take care of anything you want today.